It’s Friday night and the Field House is filling with excited fans. Parents, students, and Parker supporters pour into the bleachers anxiously anticipating the big game. The buzz can be felt from the rafters to the floor. The announcer comes on the loudspeaker, the coaches have one last word with the referee, and two opposing players step forward for the jump ball. 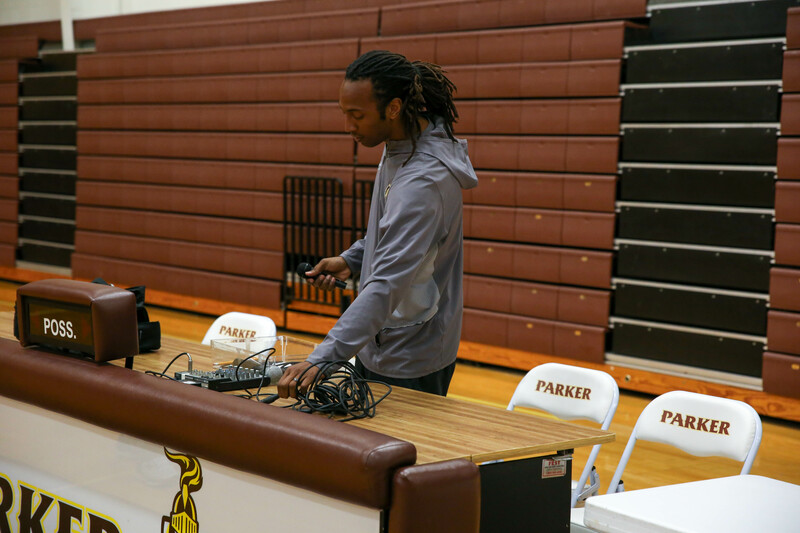 Before the basketball leaves the referee’s hands, before the players step onto the court, before the fans file in, Parker’s athletics department is working behind the scenes. 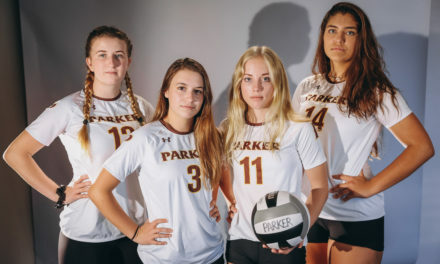 From setting schedules to preparing the facilities to turning the lights off when the last fan leaves, the members of Parker’s athletic department work to ensure that each game goes off without a hitch. The work starts months in advance. Boys basketball head coach Jim Tomey starts setting his schedule for the next season just two months after the current season ends. Working with coaches from area schools, Jim chooses matchups that will be competitive and beneficial for the development of the student-athletes. By the end of September, his schedule is set and in the hands of Missy Ross, administrative assistant for Parker athletics. Once schedules are inputted, Missy hands her calendar off to Amani Walker ’07, athletics facilities and equipment manager, to turn those digital requests into reality. As the players return to school and start their pre-season workouts, Missy inputs those newly scheduled games into separate scheduling systems: ArbiterSports hires officials, DynaCal reserves facilities and transportation, and onCampus populates students’ and parents’ personal schedules as well as the public-facing Parker athletics website. 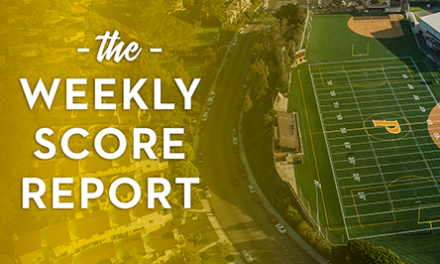 At the beginning of each week, Amani takes the calendar and maps out what needs to happen to make all of the athletics events run smoothly. Coordinating physical education classes during the day with Middle and Upper School sporting events in the afternoon and evening takes a lot of forethought and planning. As many as five home games could be happening throughout the night, in addition to away games that require transportation, equipment, and supplies. For a home basketball game, Amani pulls the bleachers out, sets up the benches for both teams, makes sure the audio is hooked up correctly and the scoreboard is operational, sweeps the floor, sets up the team and halftime rooms, and makes sure the referees have a place to change with snacks and water at the ready. Our student-athletes put in a lot of hours. … They’re out there representing their School and I think that’s amazing. I want every aspect of their athletics experience to be amazing too. I take it personally. Their experience matters to me. The entire athletics staff works closely with Athletic Director Anthony Thomas and Associate Athletic Director John Herman to put on a game, but Amani works especially close with them to make sure all the pieces of the puzzle fit into place on game day. 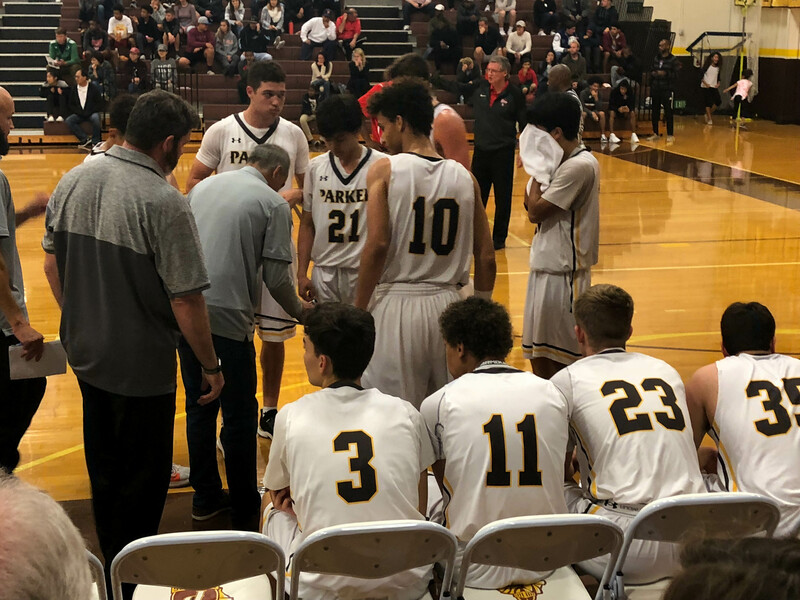 One of those friends is John Morrison—former head coach, now the assistant coach, of Parker football and faculty advisor for the Upper School Associated Student Body (ASB). Amani and John work together to make sure every aspect of the game is considered. For John, that means making sure school spirit is at a high. 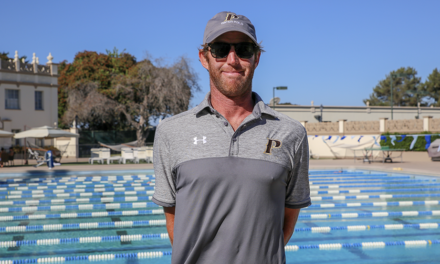 As Upper School ASB advisor, it is John and the club’s job to get people in the stands. 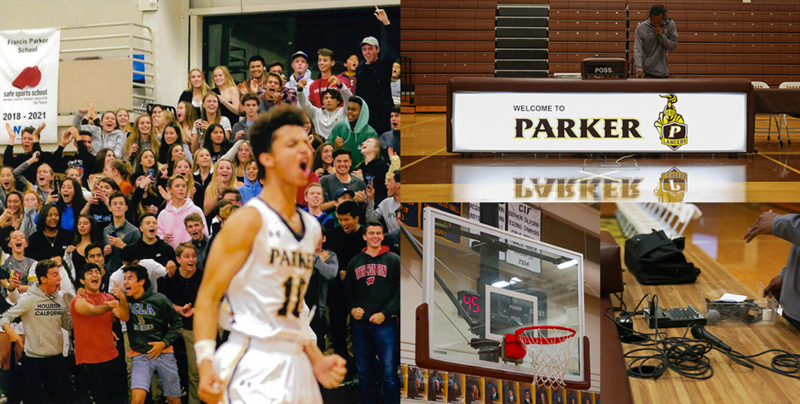 ASB students take the lead on promoting games by hanging up signs around Campus, organizing activities like free throw contests to entertain the crowd during halftime, and selling concessions. ASB coordinates with the cheer and dance teams, as well as Parker Pep Band, to create an 8-minute halftime show that drums up excitement and keeps the crowd engaged. John impresses the importance of school spirit on his students. As a teacher, coach, and advisor, he understands how essential it is to students and the overall School community. That special Parker Pride was made even more palpable after the unveiling of the School’s mascot, Lance, in 2017. Lance makes appearances not only at athletic games and Homecoming but also at events like the first day of school. Thomas, who is in his first year at the School, has ideas to further build community and make sure students come first at Parker. 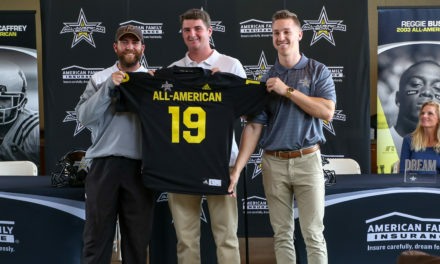 Anthony might still be learning the ins and outs of Parker, but he is bringing his expertise as an experienced athletic director to the table. For Anthony, how Parker produces a game is important, including making sure the facilities look their best, the visiting teams have what they need in the locker room, and everyone is greeted at the door. “It’s just what we do,” he says. Being good hosts to the competition is part of the Parker way. Anthony is always mindful of the School’s impact and stresses proper presentation and a personal touch. It’s not only out of respect for visitors, but it’s also to put students first. The work that Anthony and his entire team do makes sure that student-athletes only need to focus on the competition. It also means that every time those players step onto the court and get ready for the game clock to start, they’re backed by an entire community of coaches, staff, family members, and fellow students rooting for their success. Feature photo by Enrique De La Cruz.